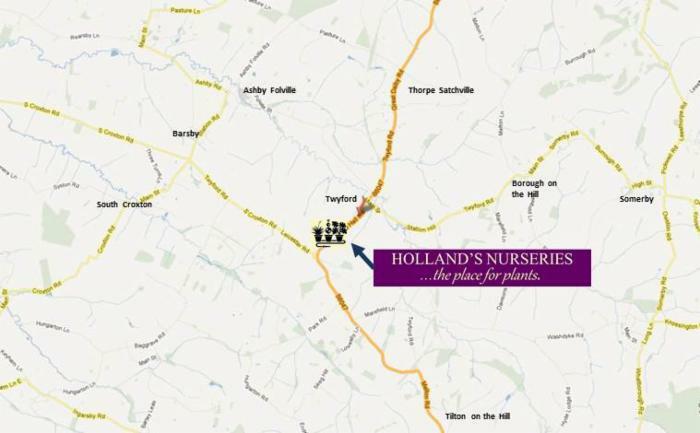 Holland's Nurseries is just South of the village of Twyford on the B6047. We are at a mid point between South Croxton, Barsby, Ashby Folville, Borough on the Hill, Somerby, Thorpe Satchville and Great Dalby. 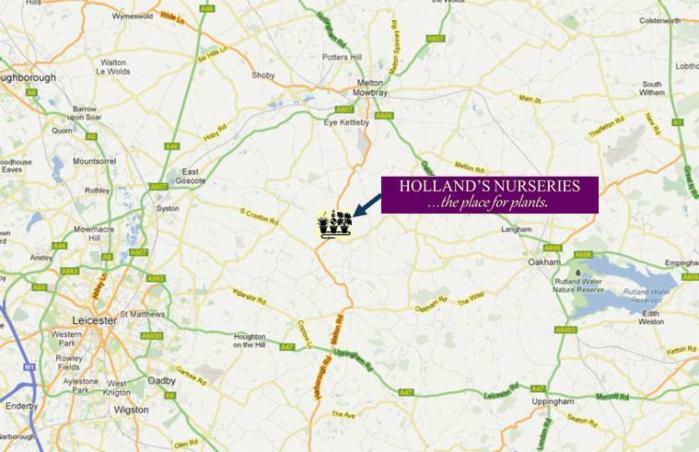 On a wider scale, we serve the area of North Leicester, between Melton Mowbray, Market Harborough and Oakham.